B ulan means moon in Indonesian. 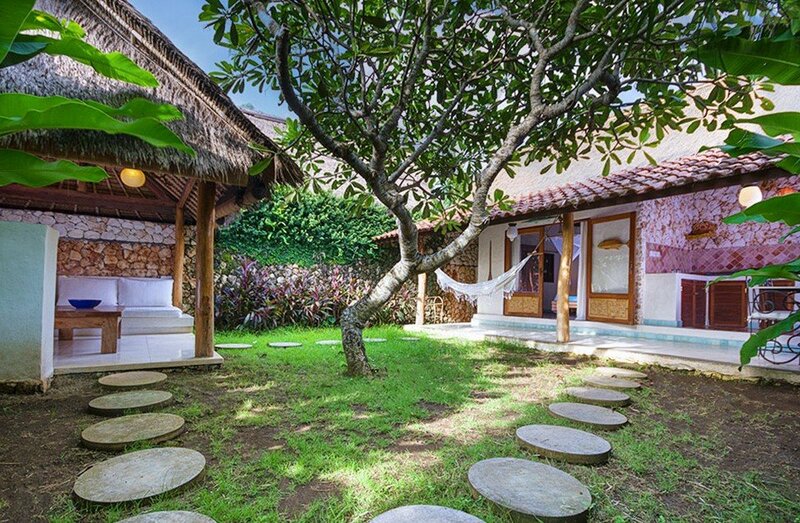 It has a king size bed with AC and a vast separate private bathroom, in an adjacent structure, constructed in a matching style, to provide complete harmony. 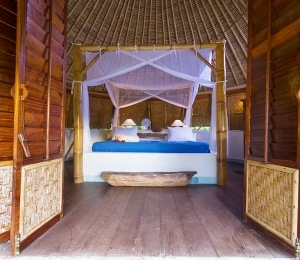 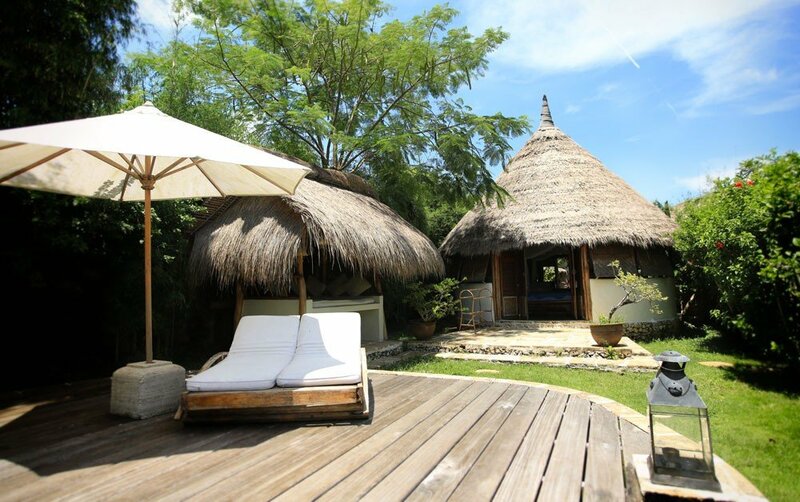 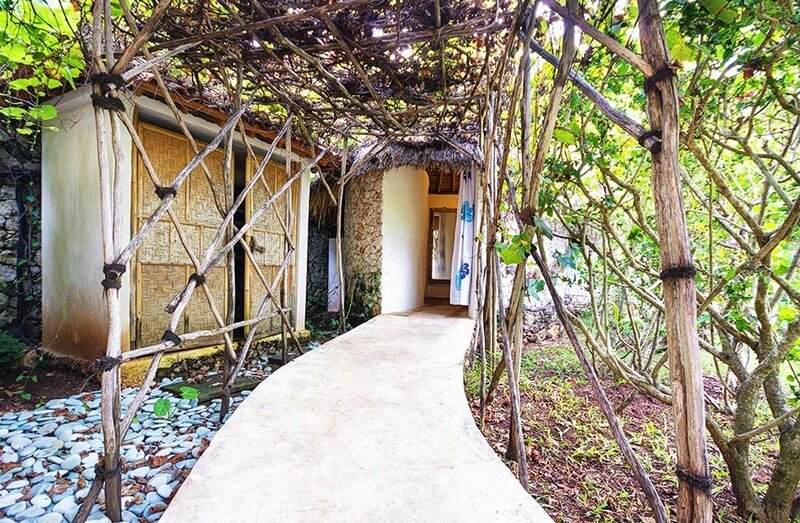 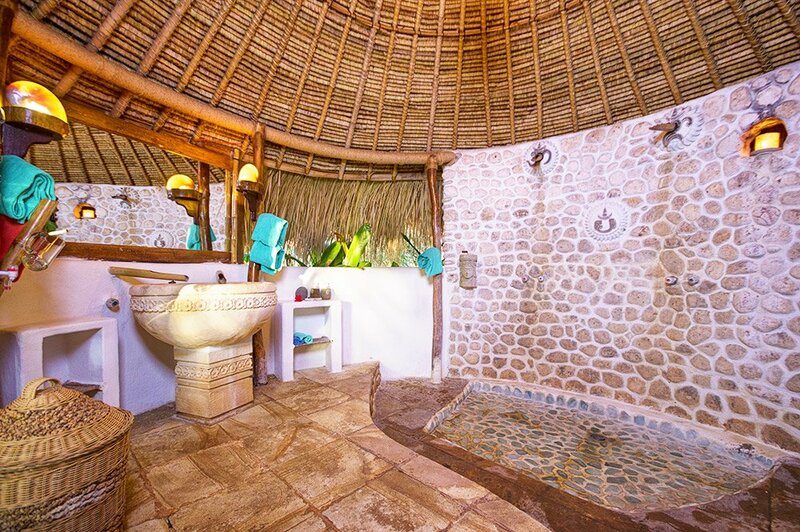 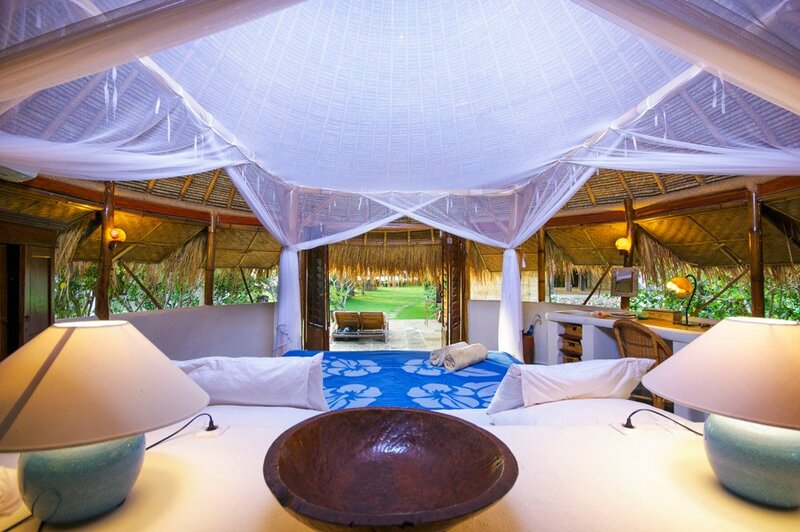 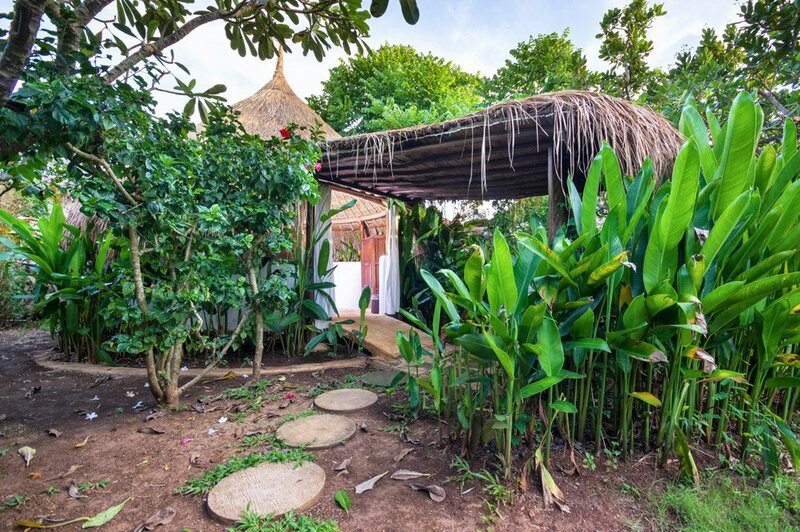 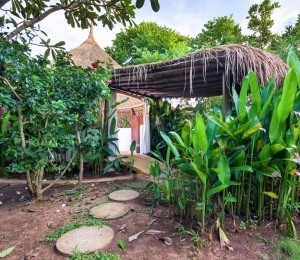 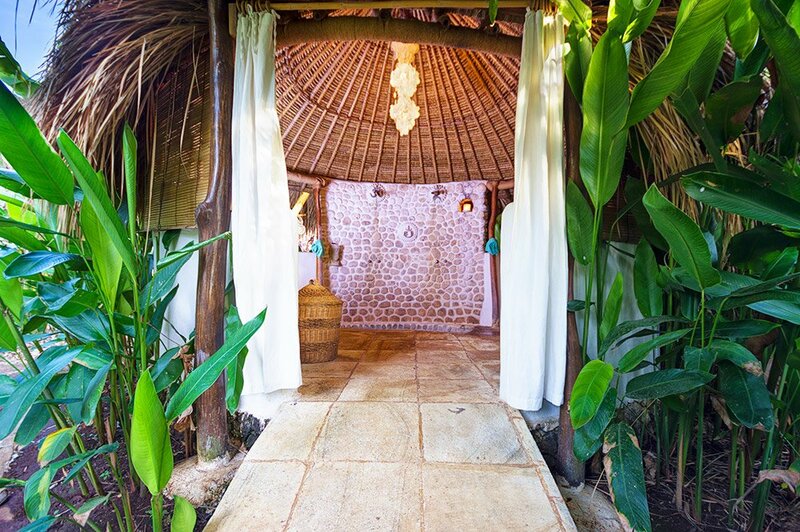 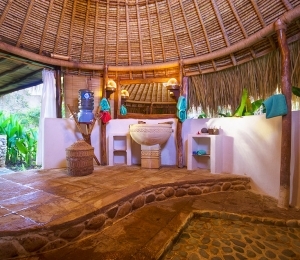 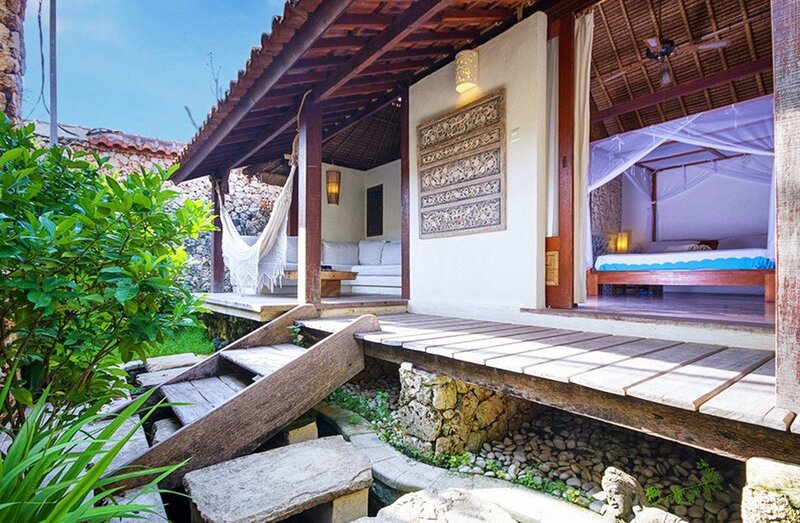 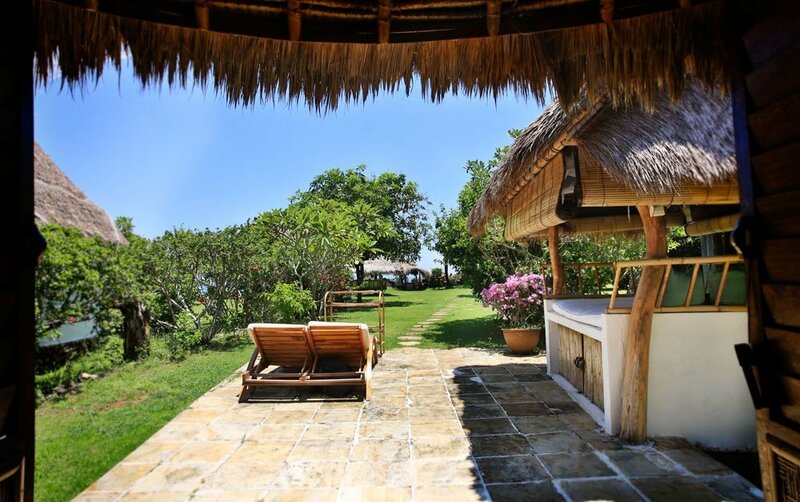 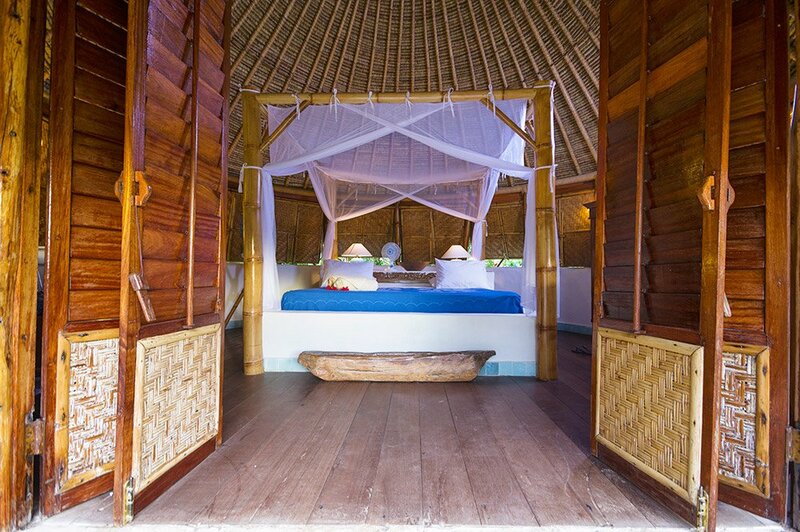 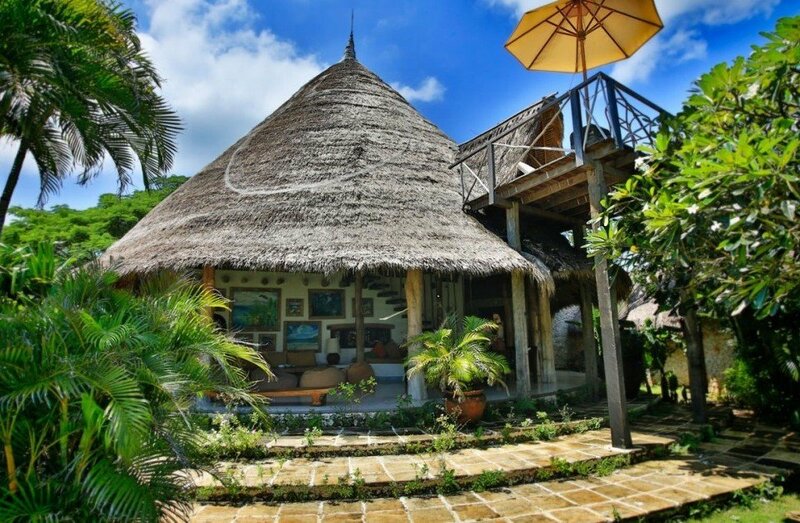 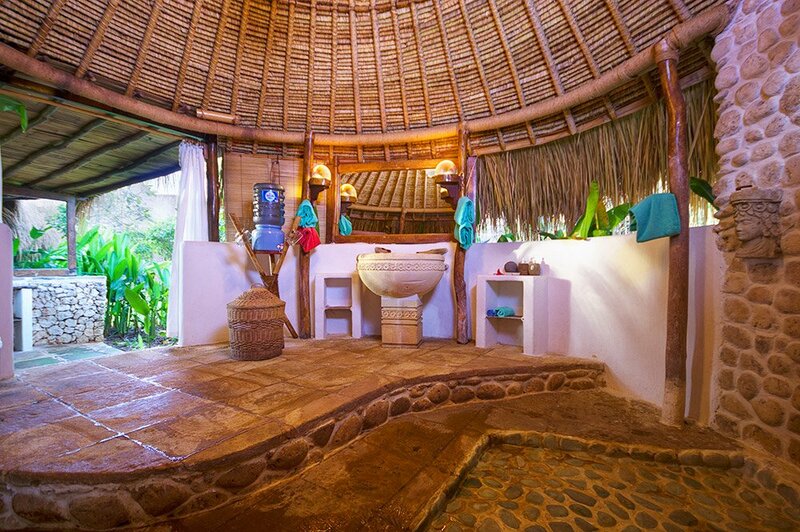 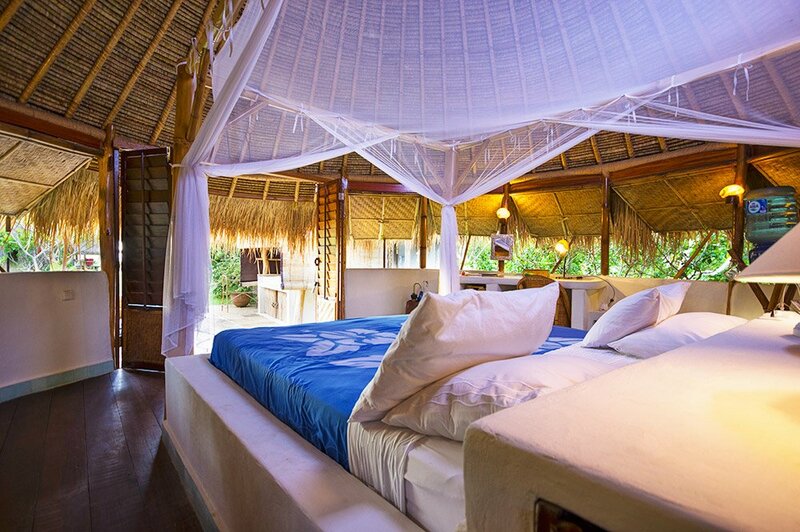 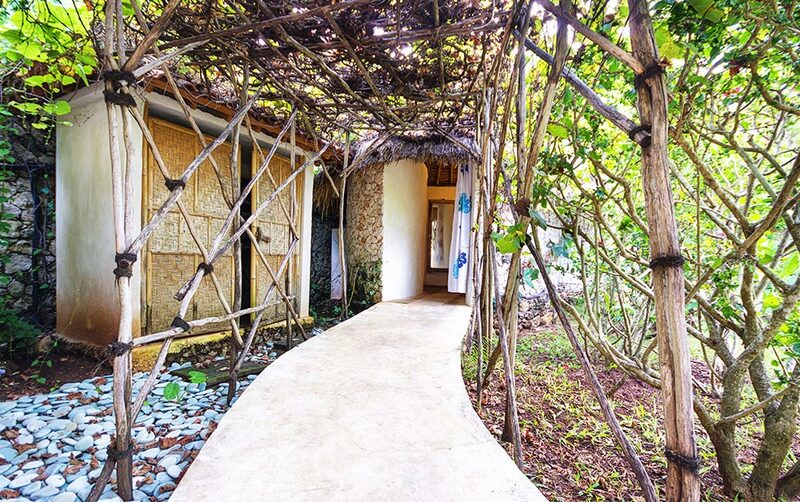 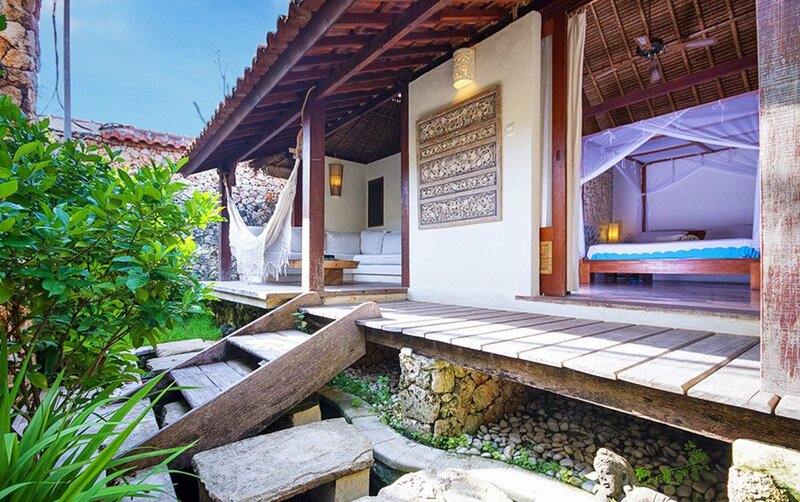 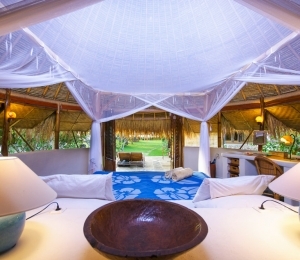 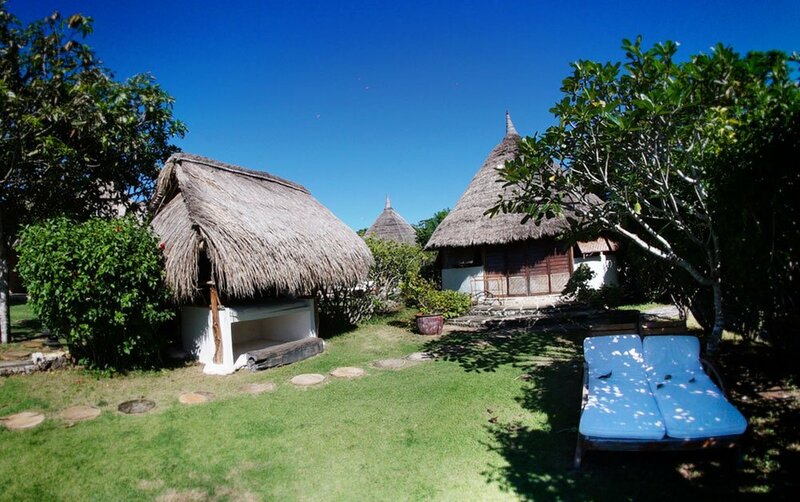 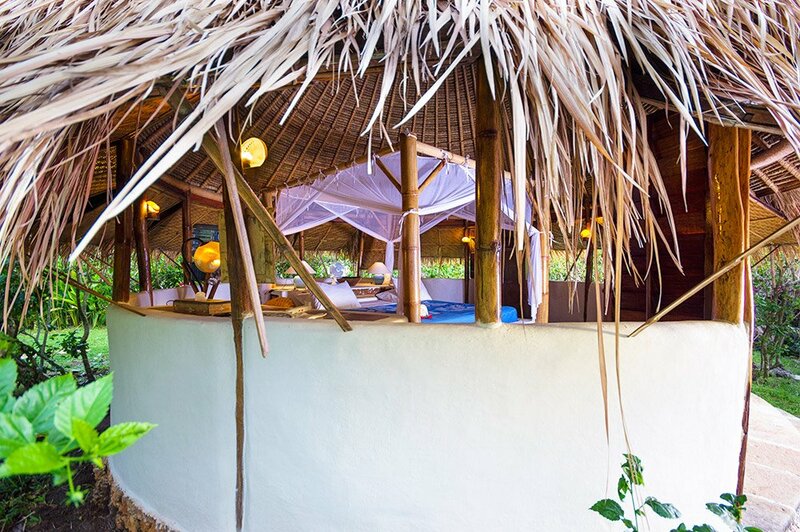 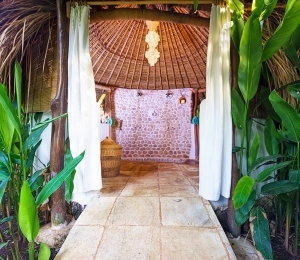 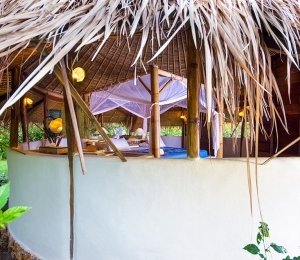 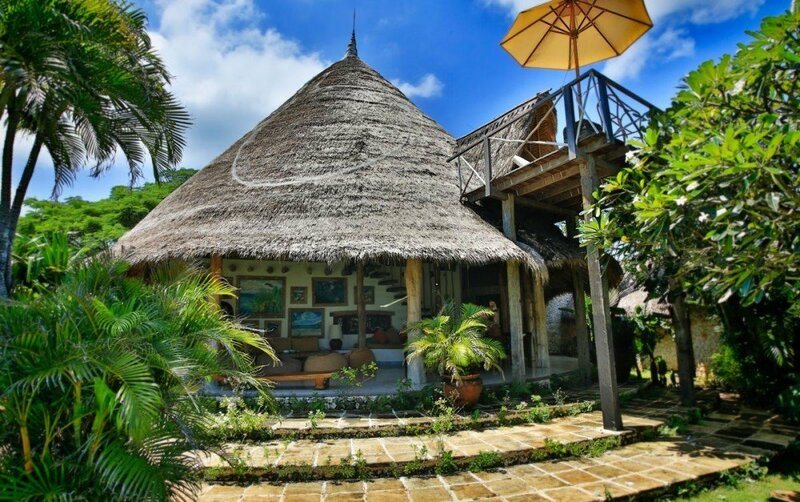 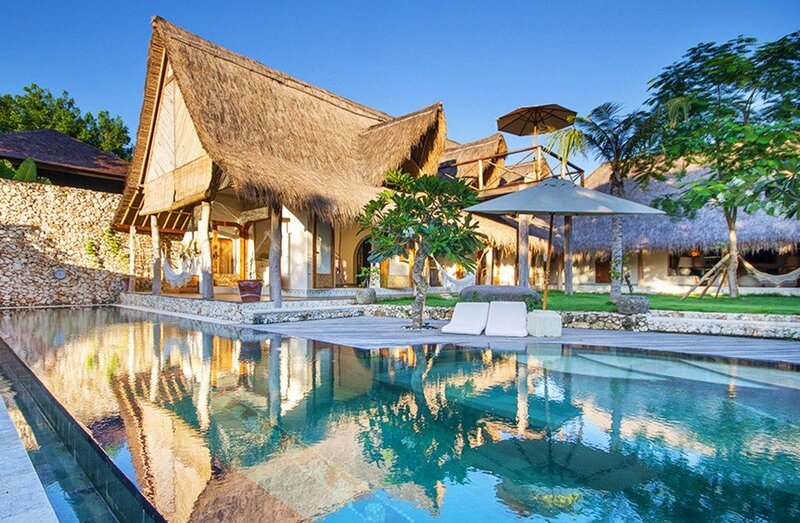 It has a traditional “Bale” outside equipped with a mosquito net for lounging. 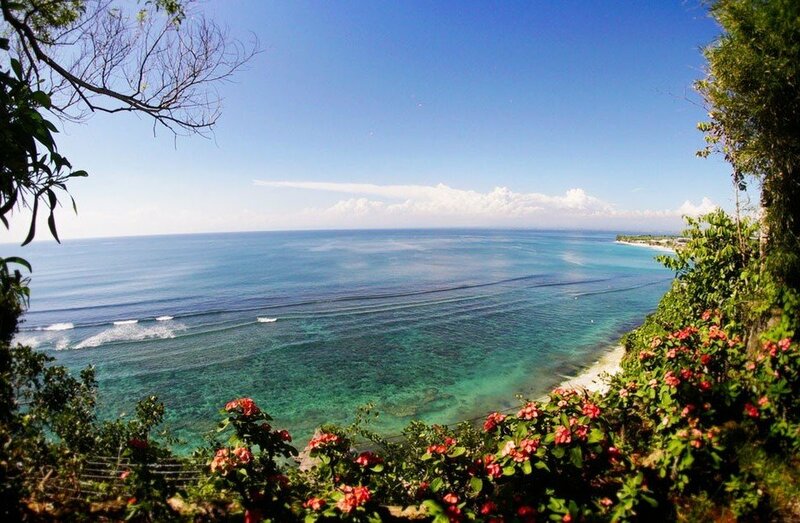 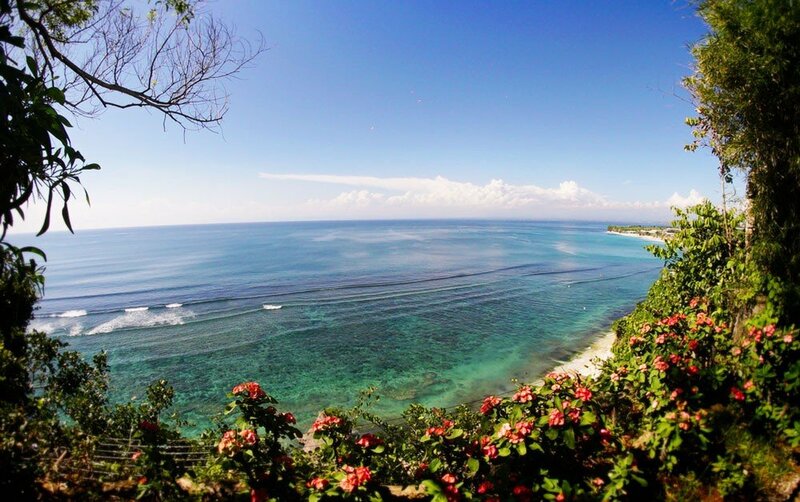 It has outstanding views out to sea. B intang means star in Indonesian. 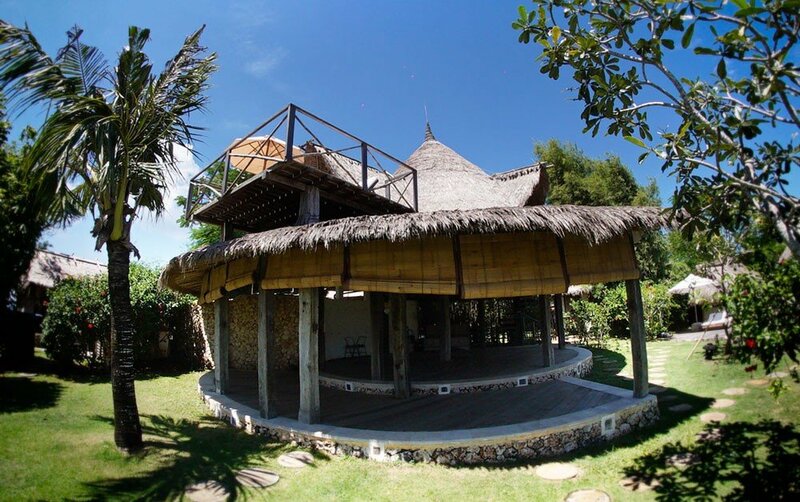 It has two stories and may be reserved as a whole or separately. 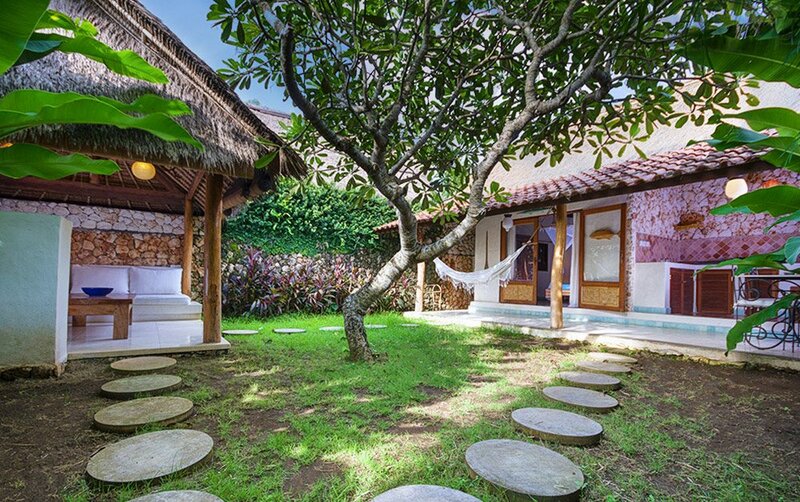 The ground floor has one double room with a private garden and deck and one single room. 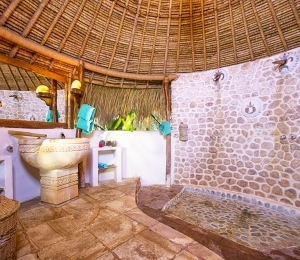 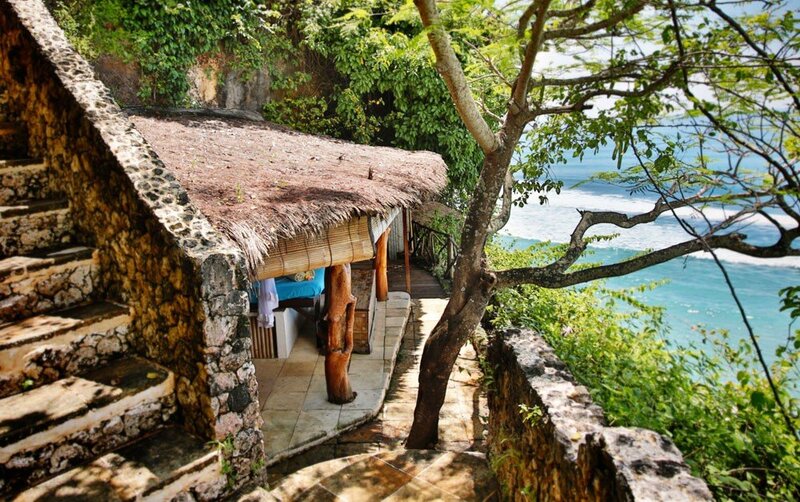 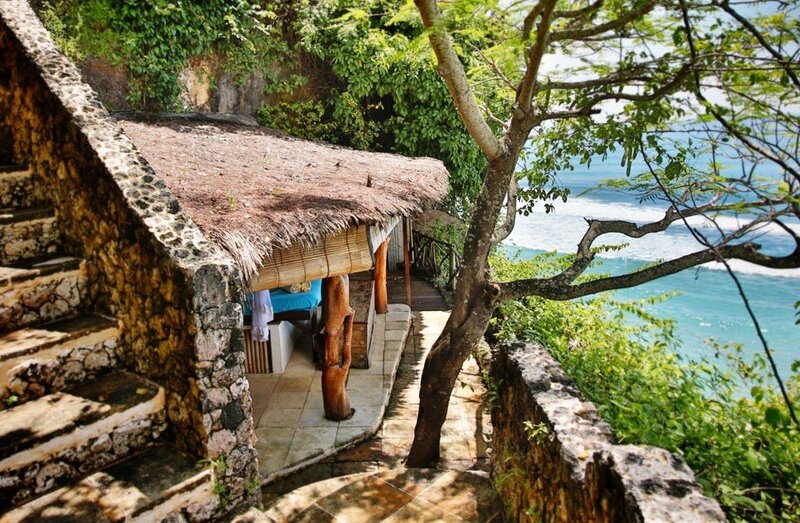 It includes an outside living room, large bathroom with natural stone bathtub and private dining area. 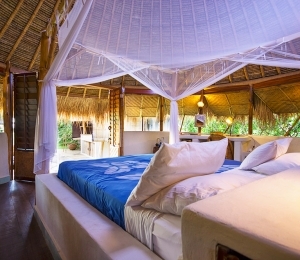 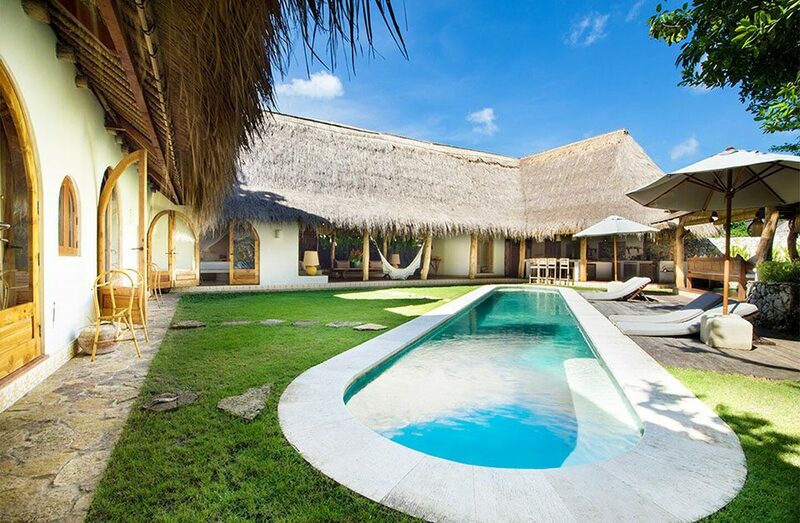 The second floor includes a bedroom, bathroom, private sun deck and living room. 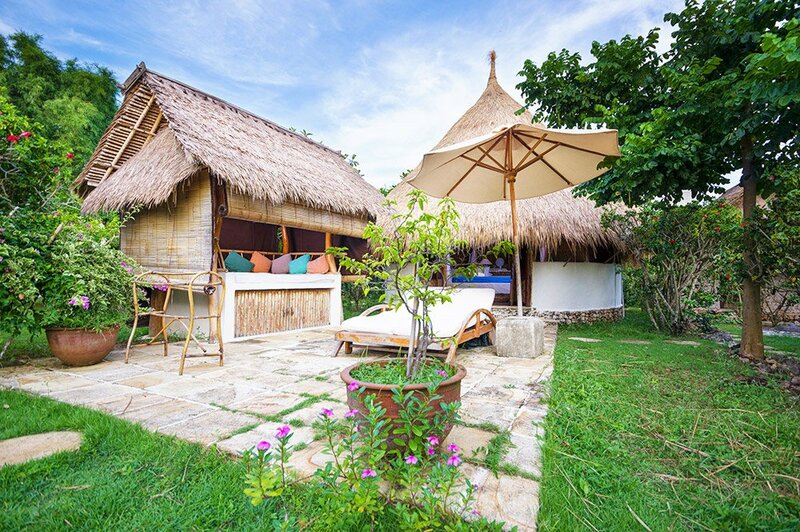 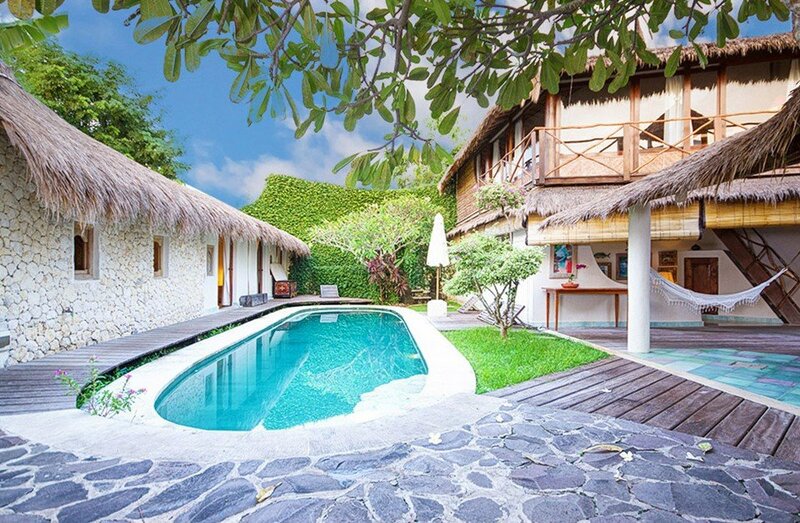 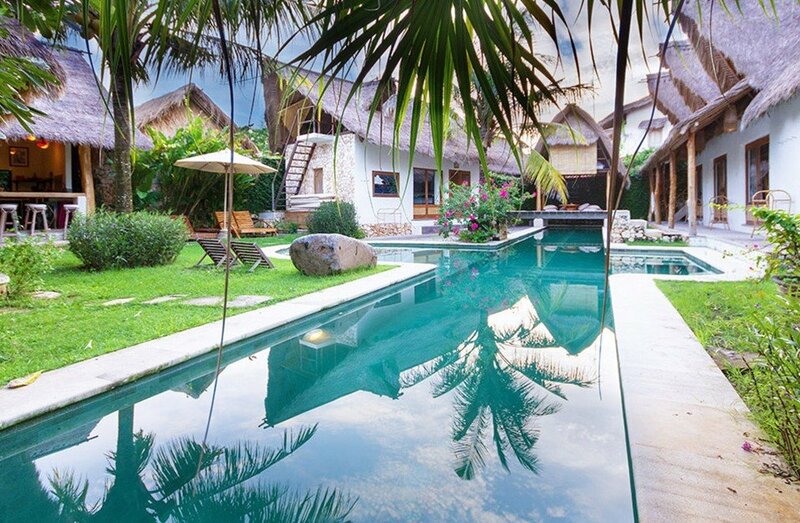 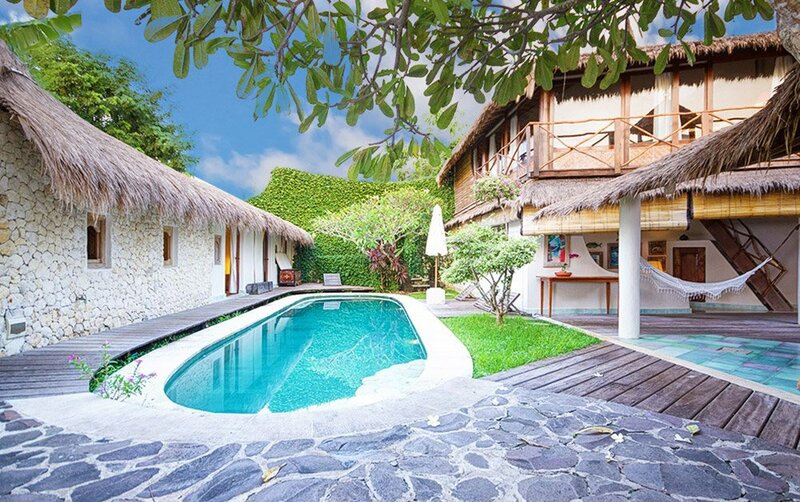 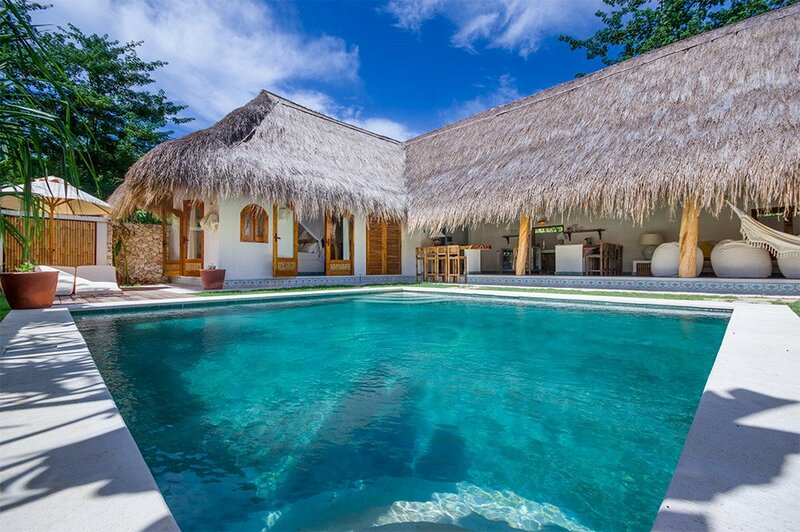 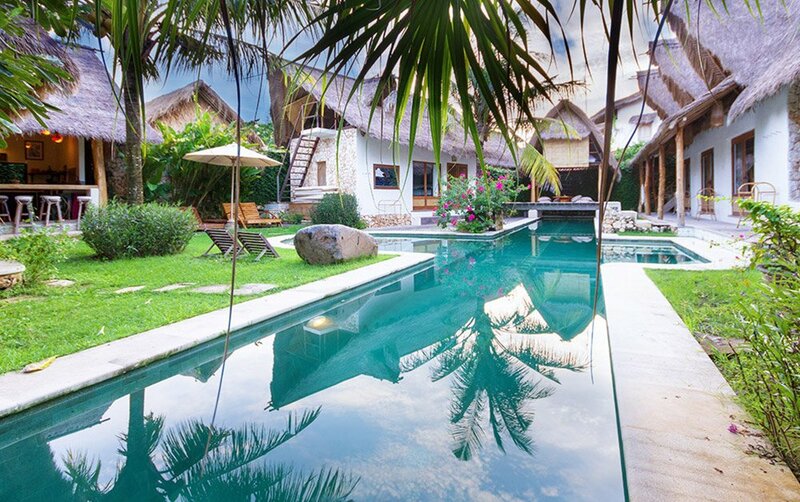 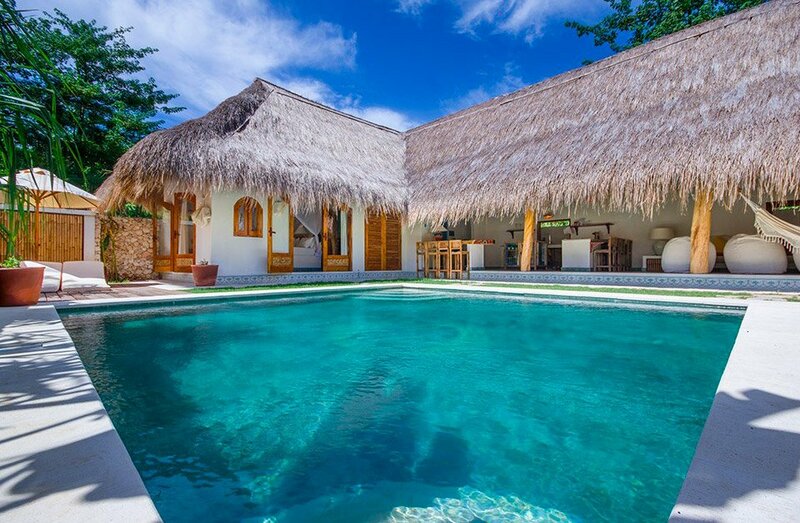 This Bungalow is perfect for a family and longer stays.